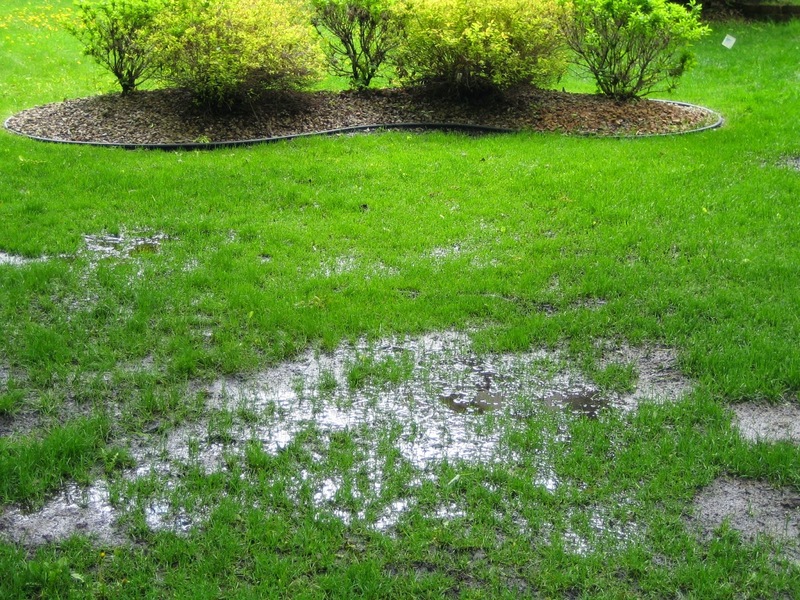 Septic Drain fields, also Most commonly called Soil treatment area(STA), or the old term Leach Field. Are subsurface wastewater disposal systems used to remove contaminants and impurities from the liquid discharged by a septic system. There are several different types of STA’s in use today. The most commonly used is a series of four-inch diameter Perforated PVC pipe in cased in two-to-three foot wide stone filled trenches, with porous material(like gravel or sand) around and underneath the pipe to promote drainage and reduces root growth near the pipeline. 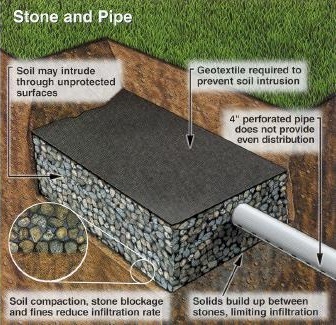 A minimum topsoil placement is covered over the porous material to protect contact with wastewater and reduce infiltration from rain and snow. What if I am having problems with my STA/leach field? How do I know if this is a STA/leach field problem or a drainage problem? You can call your septic company or if you are able, handy, check the level of liquid in your tank. Using your wife’s favorite shovel, pry up the tank lid or lids. The level of the tank should be down where the inlet comes in from the house or on the outlet where the effluent leaves the tank for the leach field. This is about 10 – 12 inches down from the top of the tank. If the level is normal, (at the bottom of the inlet pipe), you have a clogged line from the house to the tank. Call us for recommendations if plumbing service is needed!! If this level is up to the lid, or overflowing you have an obstructed line to the leach field or a problem with the drainage in the leach field. Problems with leach fields are a result of many different reasons. Spring runoff of water can flood leach fields. Bio-remediation is a system we also use which has been successful It is a specially formulated bacteria we use on a problem field. Once injected in the system, it goes after eating up the bio mat that has accumulated. Go to www.propump.com or we will send you a booklet on the process.